Industrial animal husbandry is a horror show. And yet, however much I am disgusted by this horror show, the disgust is forgotten or compartmentalized or overwhelmed when I’m confronted with a plate of golden-fried chicken, the aroma of BBQ ribs, a medium-rare peppercorn-encrusted rib-eye. I can very much enjoy the delicious ends, however vaguely aware I am of the monstrous means. Nonetheless, unease persists. I can’t bring myself to watch the industry footage in documentaries like PETA’s “Meet Your Meat.” In part, this avoidance is out of an anticipated annoyance of PETA’s expected shrill and self-righteous rhetoric (even if it’s delivered in the rich baritone of @ABFalecbaldwin). But it is also out of a refusal to confront the discomforting (and let’s face it, unnecessary) recognition of my own complicity in perpetuating institutionalized cruelty with my meat-heavy food choices. Because with that recognition, my latent conscience will demand some action. And perhaps what keeps me in this passive denial is a sense that there are no viable alternatives. Expensive and dubiously-labelled free-range options? Expensive perhaps as ethically-questionable pescatariansim? Bland and complicated veganism? But what if chickens loved being crowded together? What if pigs naturally teemed in some wild pork pyramid? What if cows naturally and unproblematically feasted on each other? Crickets, worms, ants, and many other edible insects prefer and thrive in these conditions. The despicable practices of commercial farming are humane when applied to insects. So these long-standing practices that have proven effectiveness in maximizing yields could be applied lovingly to insects without invoking the hypocritical outrage of folks like me. Even better, many insects consume organic waste. So entomophagy can mitigate both my animal cruelty guilt along with my recycling guilt. However, it still remains to be tasted how good of an alternative this is. I have not yet eaten a bug-only meal and am skeptical despite my fondness for the unconventional. But I’m hoping there is more to bug-eating than just the superficial appeal of the bizarre. There are a lot of good reasons for eating bugs. (I have already considered feed-conversion rates and entomophagy’s carbon footprint. The humaneness of its production may also amplify the enjoyment. A lot goes into pleasure. And I would be remiss in bringing up ethics without addressing the qualms of killing a living thing that feels pain. 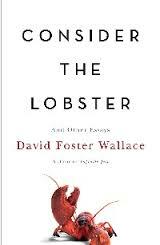 Genius David Foster Wallace’s perfect essay “Consider the Lobster” (that appeared in the 2004 issue of Gourmet as the most beautifully mispublished works in American journalism) tangled with the morality of boiling a creature alive for one’s pleasure. Maybe this requires its own blog post. For now, I can only admit my own perhaps flawed moral scale. I feel better about the consumption of a cow’s weight in crickets than putting one cow through the institutionalized terror of commercial beef production. And speaking of lobster… if we can get over and actually charge a premium for the consumption of such a weird-looking gross bottom feeder (that eats whatever is on the ocean floor, like fish carcasses, droppings, filth, etc. ), it may not be so much to get into a similarly-carapaced arthropod like the grasshopper that only eats grass in the open light of day. Seems like a pretty good alternative. I am a marketing professional and 2015 MBA candidate specializing in marketing and entrepreneurship. I live in Madison, Wisconsin. Recently, I've been thinking about the marketability of edible insects in the Midwest. I also get excited about behavioral economics, big data and its possibilities, and Crossfit. I read a lot and I like to write. I also live with a chihuahua. His name is Marcel. Why Eat Bugs #8: Great For Gatherings!